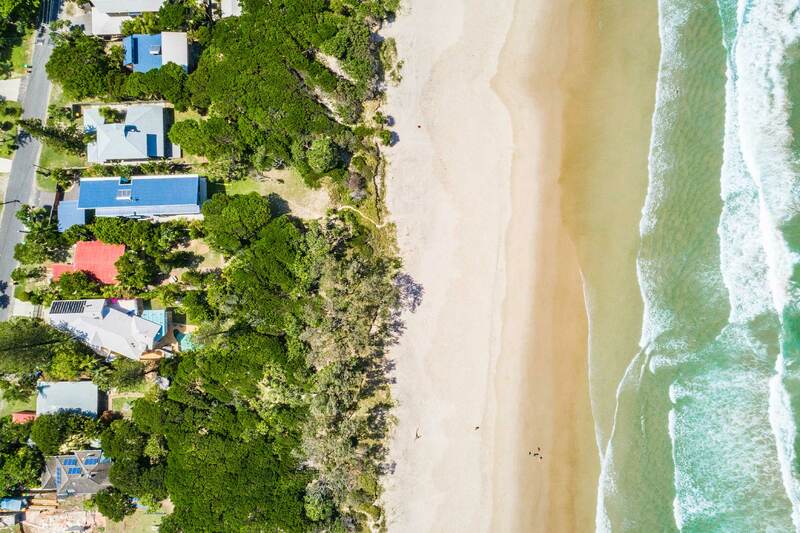 Imagine rolling out of bed, strolling down a short path, and feeling the golden sands of Tallow Beach between your toes! 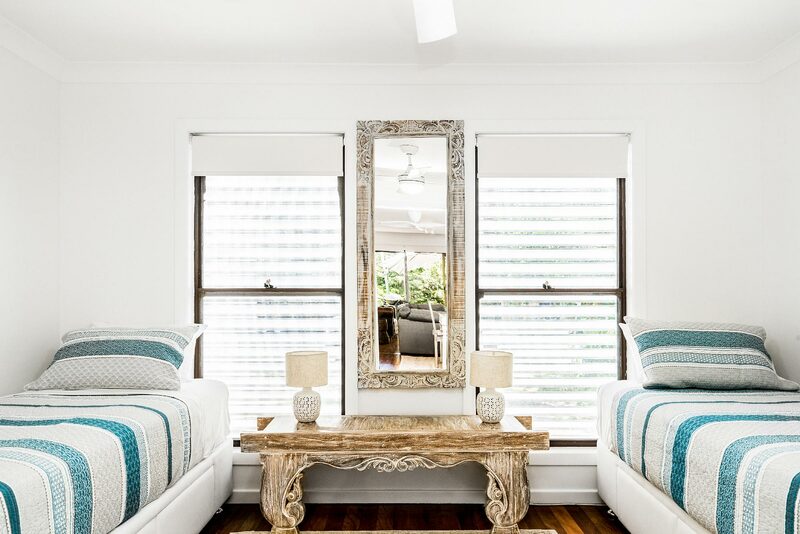 Gigi’s cottage is an absolute beachfront holiday home, brimming with coastal charm and hints of boho style. 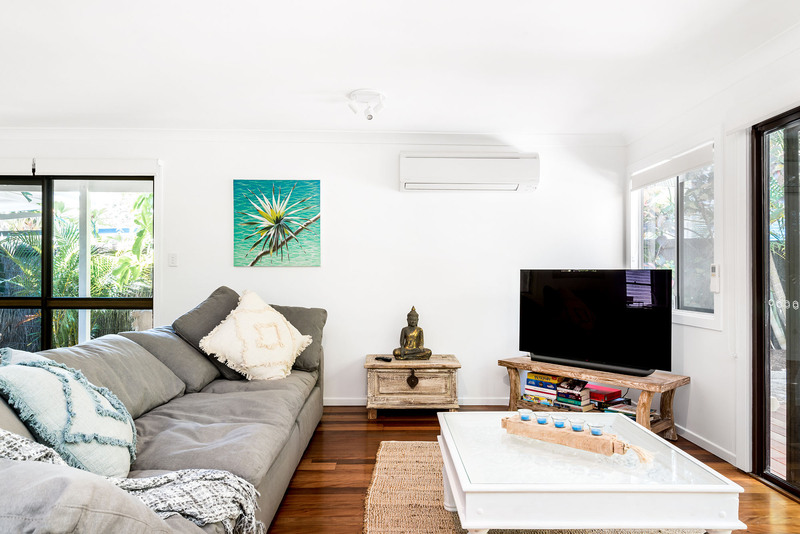 This bright, airy beach cottage is surrounded by lush, tropical plants giving both shade and privacy. 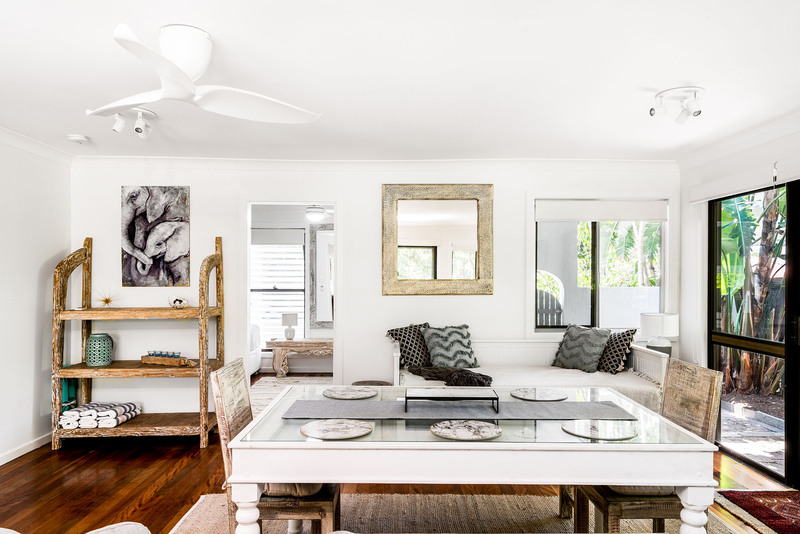 With 2 bedrooms and 1 bathroom inside, together with a modern, well-equipped kitchen, light and spacious living/dining area, Gigi’s is a perfect beachfront getaway for a family, two couples, or a single couple for a romantic escape. 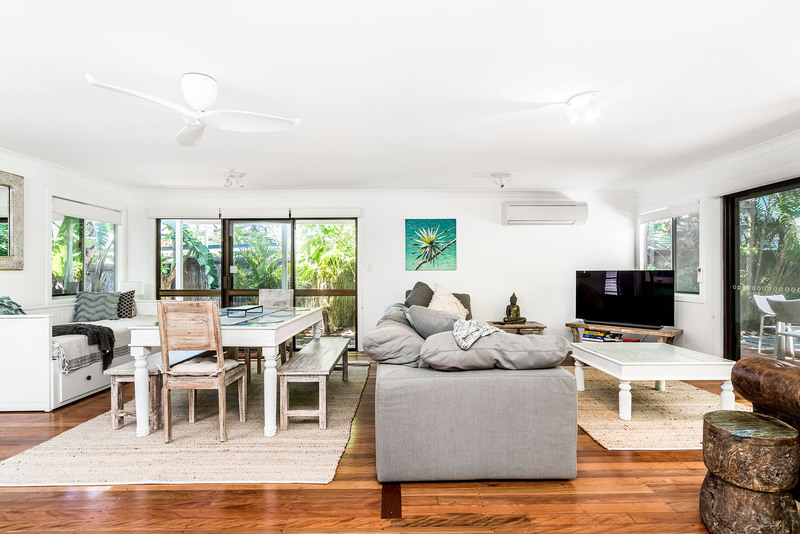 The heart of this home is a bright, open-plan living and dining room with gleaming hardwood floors throughout. The inviting lounge space features a plush sofa and a fully-equipped Smart TV. Simply log into your Netflix account and pick up your favourite programme right where you left off. 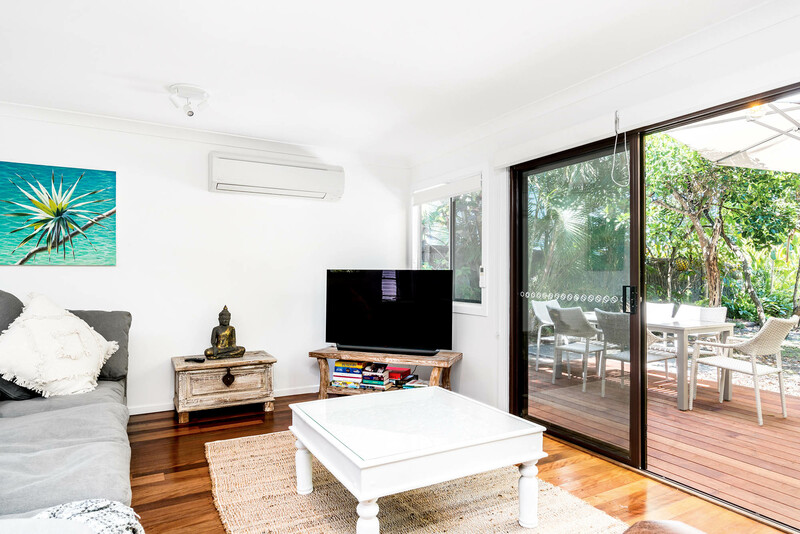 There is reverse-cycle air conditioning in the room, but sliding glass doors in both the living and dining areas can be left open to enjoy fresh, sea breezes and keep the space connected to the outdoors. 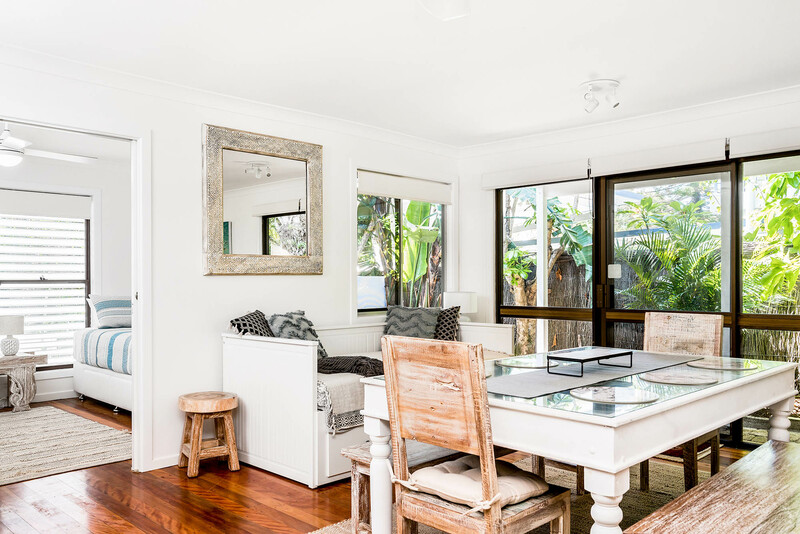 In the dining space is a large table with seating for up to 8, including a mix of coastal-inspired, distressed-wood chairs and benches. 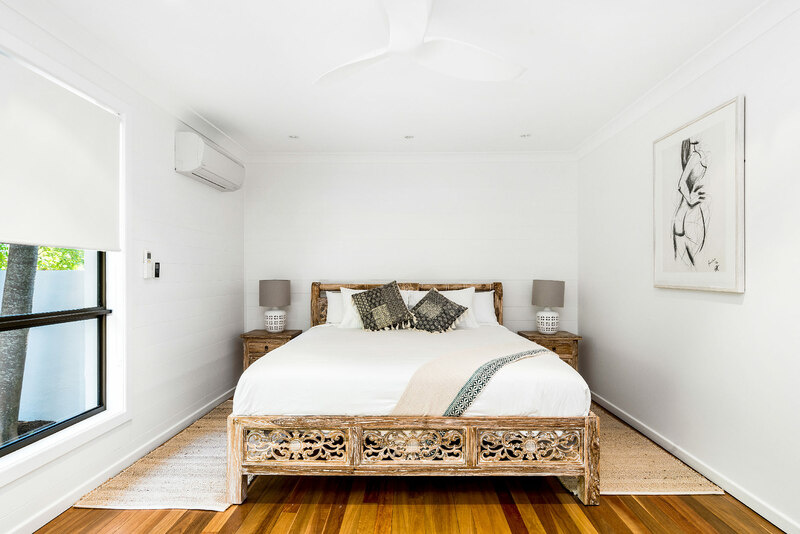 An added bonus in the space is a comfortable day bed, a perfectly cosy place to curl up with a good book by day, but easily transformed into a single bed with extra trundle for the kids by request at night. With everything you need and nothing you don’t, this smartly-designed kitchen maximises storage and prep space. 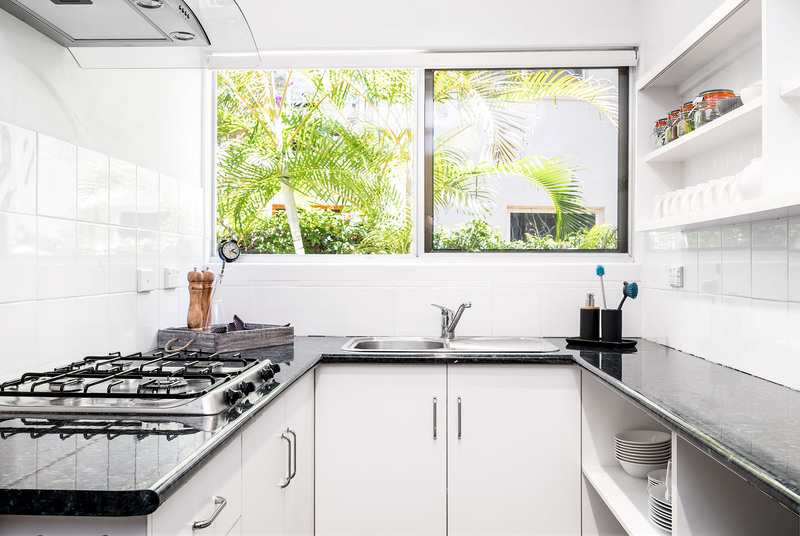 Stainless steel appliances include a gas-powered cooktop and hood, a full-size refrigerator, and a convection microwave, making it easy to prepare tasty meals for the whole family. 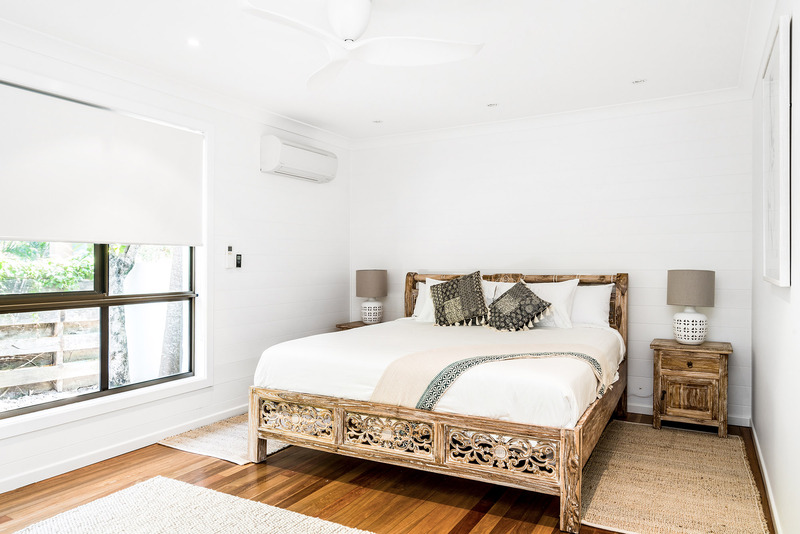 Centred on a gorgeous, wood-carved king-size bed, the master bedroom is a light-filled retreat with generous closet space and stylish, boho accents. The huge window overlooks lush, surrounding landscape but has a retractable blind for instant privacy. 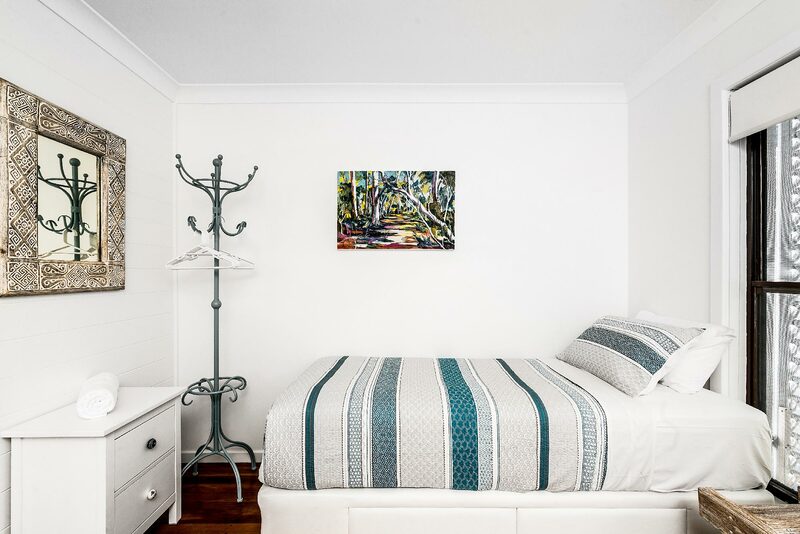 In the 2nd bedroom are 2 single beds, which can be combined into a king bed by request. In the hallways is a shared bathroom with shower and toilet. There is an additional day bed with rollaway single in the dining room, suitable for 2 children only and available by request. There is 1 bathroom at Gigi’s cottage, shared between the 2 bedrooms. A large window and crisp, white tiles give the space a great deal of light, creating a comfortable space to wash and get ready for the day. The bathroom features a modern, glass-enclosed rain shower and separate water closet. There is also an outdoor shower with cold water in the backyard, perfect for a cool and refreshing rinse after a sunny day at the beach. 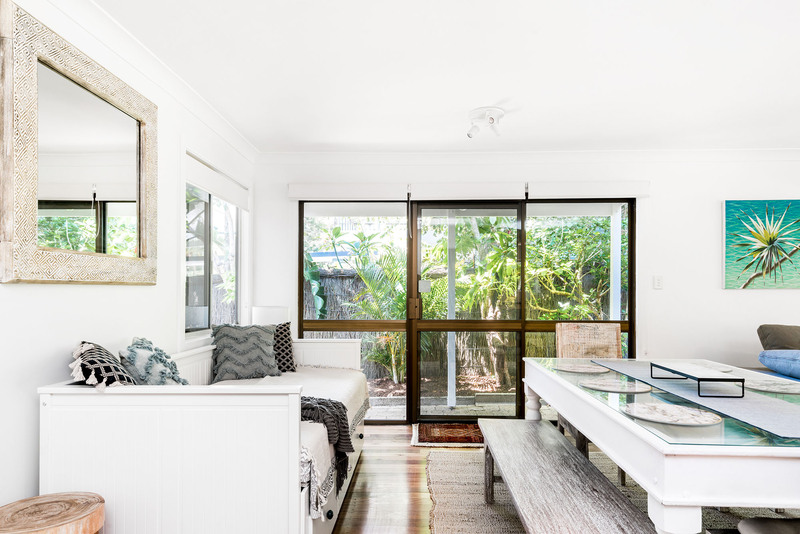 Just off the living space through sliding glass doors is a cosy, sun-drenched outdoor deck. Use the provided barbecue to whip up your favourite burgers or grilled veggies, and enjoy dinners al fresco. 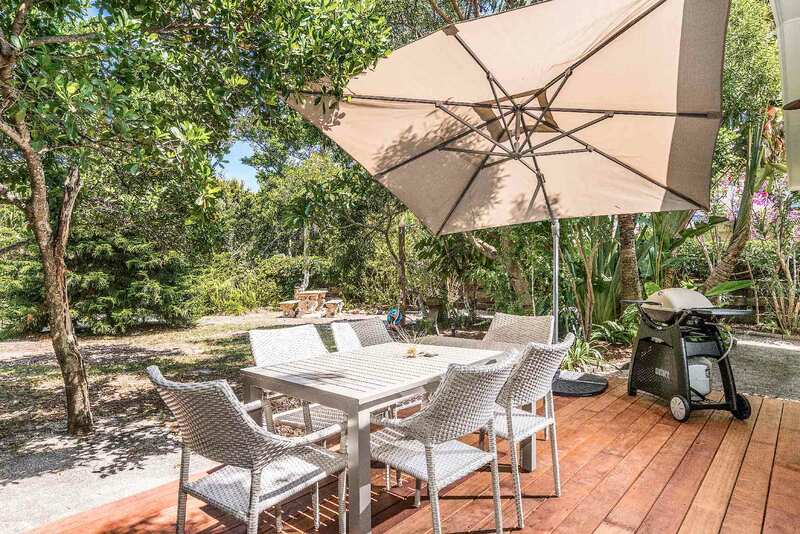 The outdoor dining table has space for 6 and an easy-to-use retractable shade in case you need a bit more coverage. 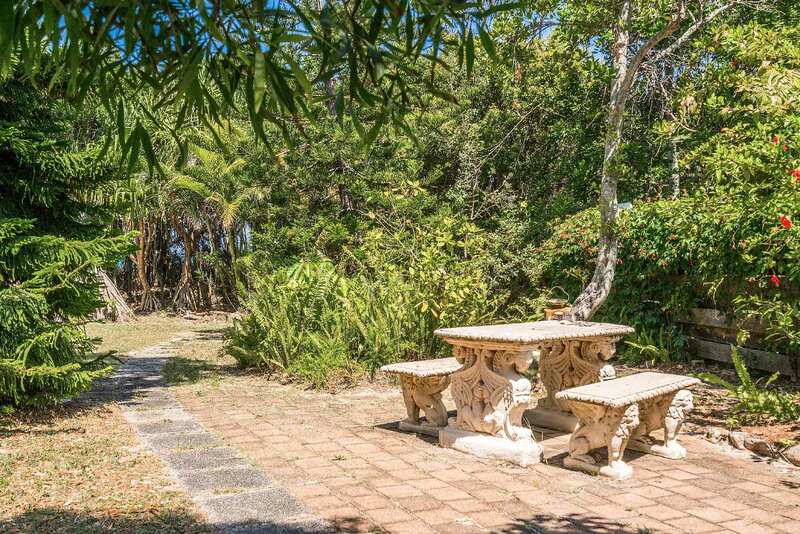 The backyard is spacious and nicely landscaped with lush, tropical plants and an additional stone picnic table. 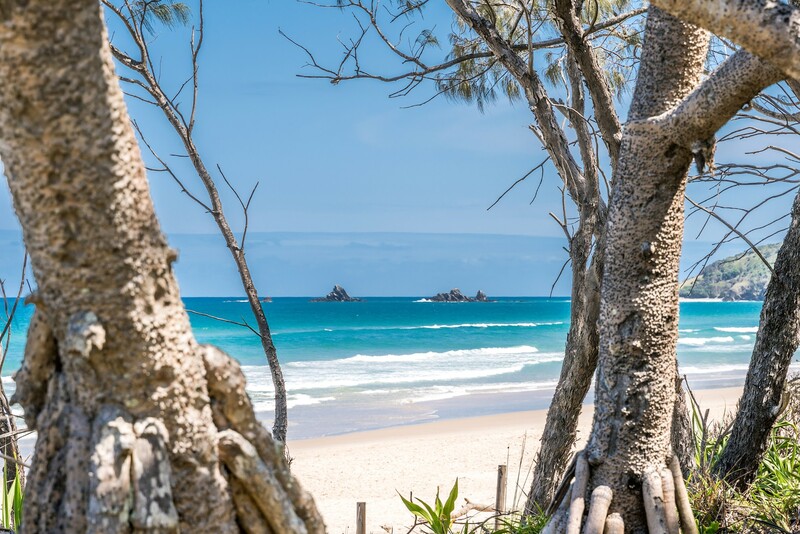 You can even hear the waves crashing at nearby Tallow Beach, just a short, paved walking track away. There is parking available for 2 cars off-street. 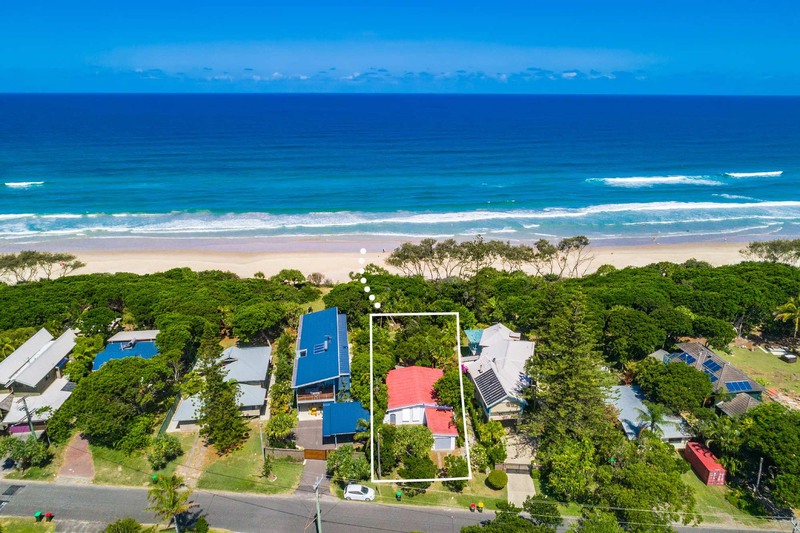 This absolute beachfront cottage is moments from Tallows Beach, connected by a short walking path through golden sand dunes. 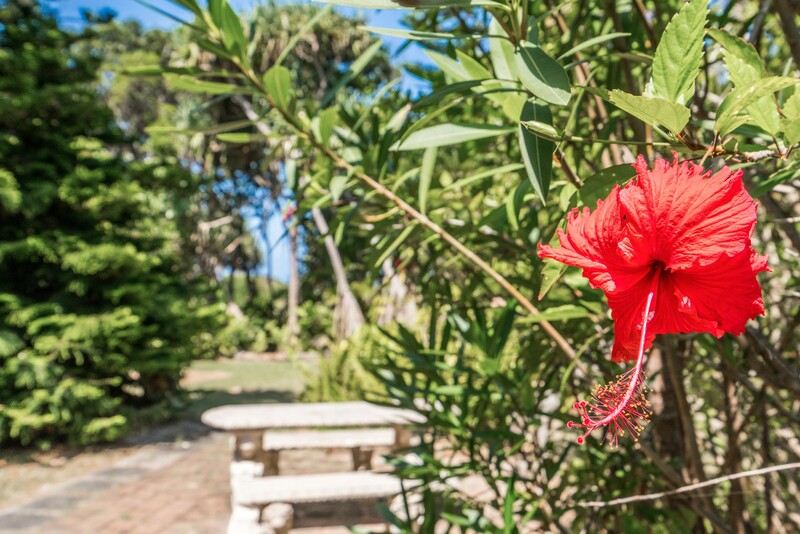 Take advantage of this incredible beachfront location to catch world-class surf breaks, sunbathe, or swim. 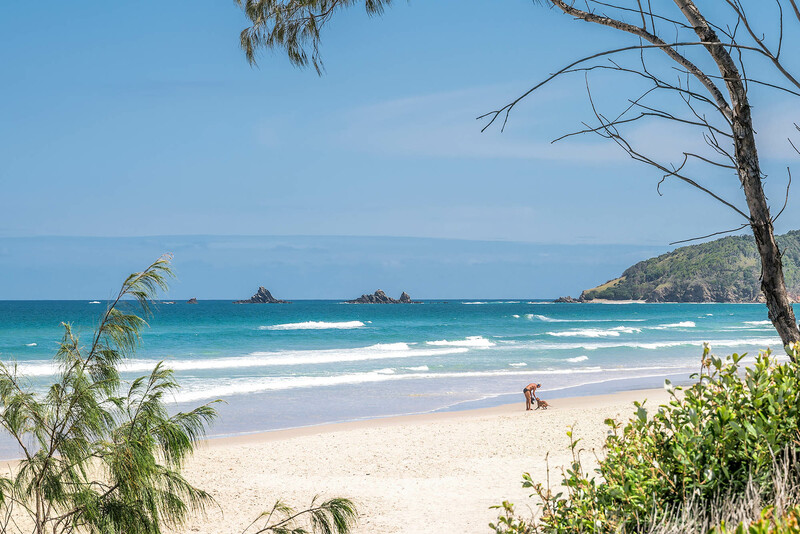 This friendly, beach-loving neighbourhood is a short, 9-minute drive into Byron Bay township, but it’s even easier to leave the car at home! 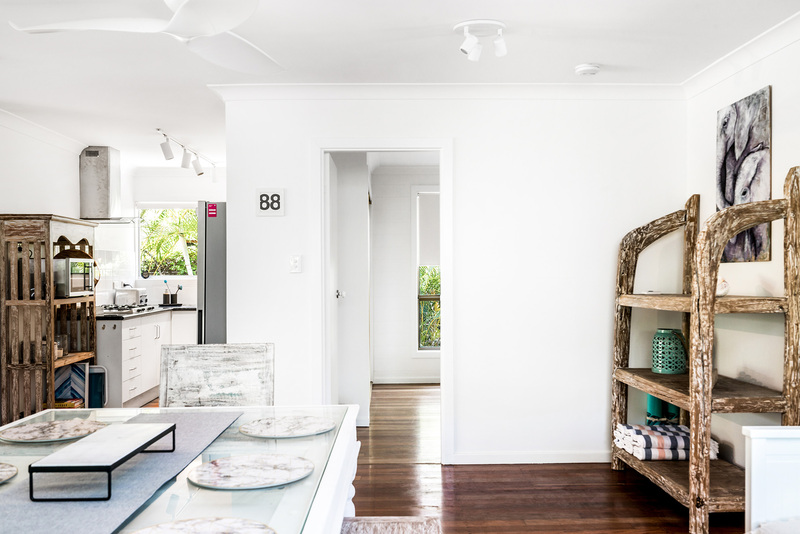 There are plenty of shops at Suffolk Park, only a 7-minute walk away. Follow the delicious scent of baked goods to pick up fresh breads or hearty sandwiches from Suffolk Bakery, or grab a quick, tasty slice from nearby Pizza Paradiso. 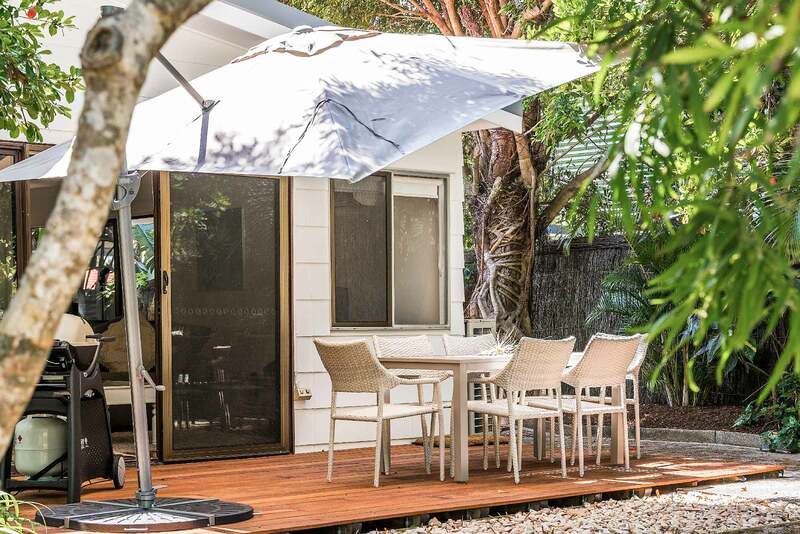 Great beach cottage, right on the beach, newly updated so feels fresh and modem but really laid back, Stayed here with my wife and kids and had a ball. Thought drive into Byron might be an issue but took between 5 and 10 minutes so wasn't a problem at all. Would definitely stay here again.